Lets have a great day! Hello , my name is Luisa! I am originally from San Miguel De Allende Guanajuato, Mexico. I came here when I was 10 years old, and have lived in the Kansas City area all of my life. After working for several hair establishments, I decided to open my own salon. 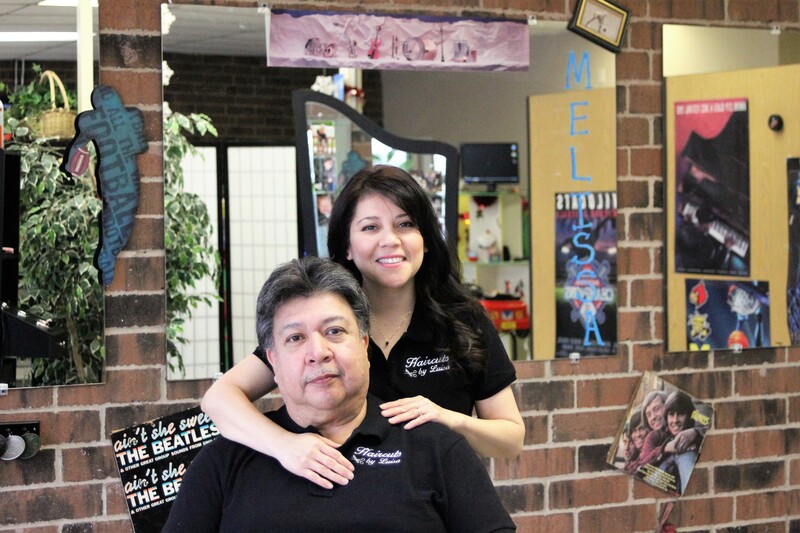 My husband and I have a big family between the two of us (six kids and ten grandchildren) We want our place to be a friendly family salon, where the whole family can come and get haircare services. Along with my husband and kids help, we opened on January 4, 2011. We offer the whole family hair care; Womens, Mens & Childrens cuts, each with a section of their own.